Her: Is it the ball-type deodorant you want sir? 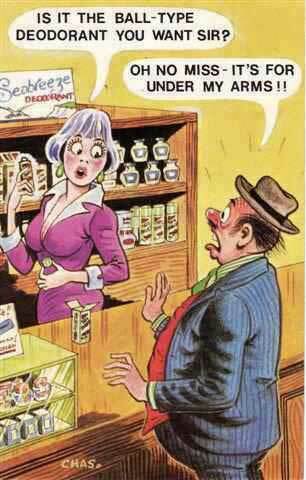 Him: Oh no miss – it’s for under my arms! Created about 6 yrs, 4 mths ago (November 24, 2012). Updated about 6 yrs, 4 mths ago (November 24, 2012).